A Development Approved (DA) rural residential lifestyle housing estate in the Darling Downs regional centre of Warwick is being offered for sale by Ray White Commercial GC South. Lots 2 and 4 Dight Road, Rosenthal Heights, is being marketed by Ray White Commercial GC South’s Brad Duncalfe. Mr Duncalfe said the property has approvals in place for a 49 lot rural residential land subdivision with lot sizes of 4,000 sqm up to 4ha. “The property also has alternate development approvals for 25 larger lots or 100 x 1 acre rural subdivision lots,” he said. “The proposed Rosenthal Heights Estate is well located with an exceptional rural outlook and elevated lots to catch the breeze. “These are great building sites with building covenants. Town water and underground power is connected. “Residents will enjoy the idyllic acreage lifestyle in this prestigious estate, which is approximately five minutes’ drive from the Warwick CBD. Mr Duncalfe said the Southern Downs region offers good employment opportunities in a variety of industries including major resources projects. 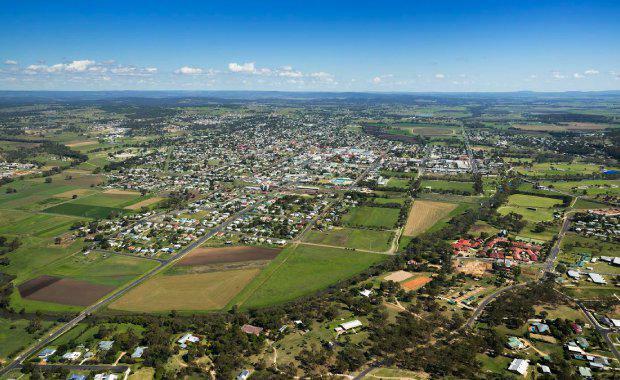 The historic town of Warwick has a population of more than 15,000 and is a service and administrative centre for the Southern Downs region, located approximately 90 minutes’ drive south-west of Brisbane and 45 minutes’ south of Toowoomba. The Rosenthal Heights Estate is offered for sale for $2.5 million.